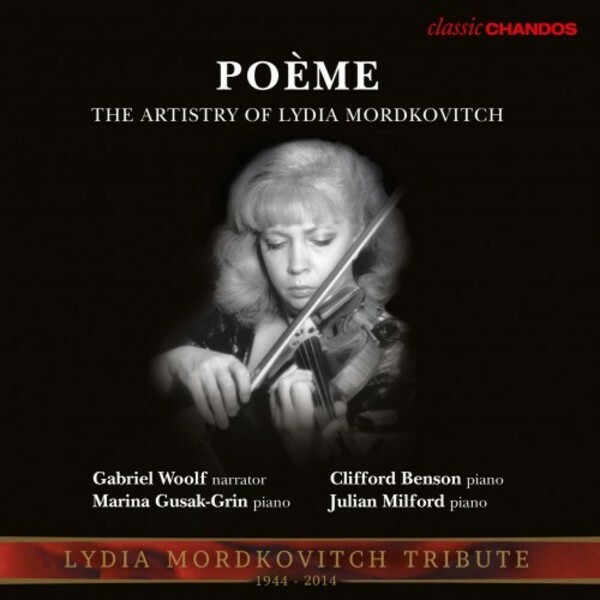 This recording is a re-issue of the romantic chamber music recording that Lydia Mordkovitch made in 1989 with the pianist Marina Gusak-Grin. It featured pieces for violin by such famous composers as Wagner, Rachmaninov and Chausson, none of whom played the violin or favoured it as a solo instrument. If there were any doubts about the lyrical potential of the violin, however, this would be an album to confirm its true status as the poet among instruments. The prime example is Chausson�s Po�me � a title applied to the whole collection, as the other pieces make the same point. Two pieces complement this recording: the one-movement sonata of 1897 (the Sonate posthume) by Ravel, which was both his first chamber work and his first attempt at sonata form, and Sospiri, Op.70, Elgar�s last short piece for violin and piano. These pieces were recorded in 1989 and 1996, respectively.